1 rectangle of medium to heavyweight fabric. I suggest twill, denim or duck. 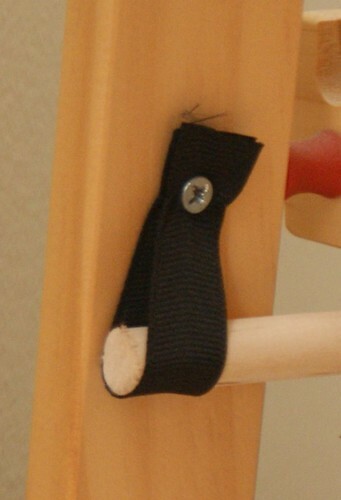 Load the dowels onto the ribbons. 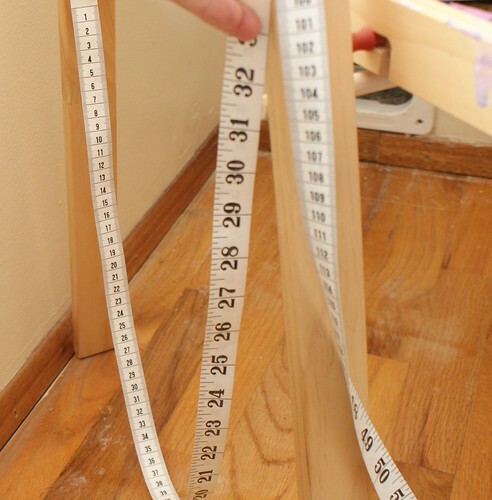 Using a flexible measuring tape, measure from one dowel down to just above the floor back up to the other dowel. Add 4 inches to this measurement. This is how long your rectangle of fabric will be. 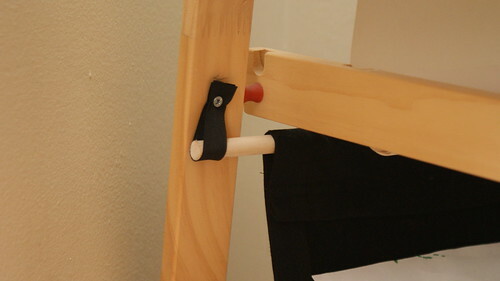 Measure from the inside of one easel leg to the other and add 2 inches to this measurement. This is how wide your rectangle of fabric will be. 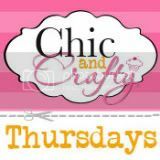 Cut your fabric using the measurements above. Press in one inch on either side and either stitch those edges down or use stitch-witchery to hold them down. Press down two inches on either end of the rectangle and stitch or use stitch-witchery. 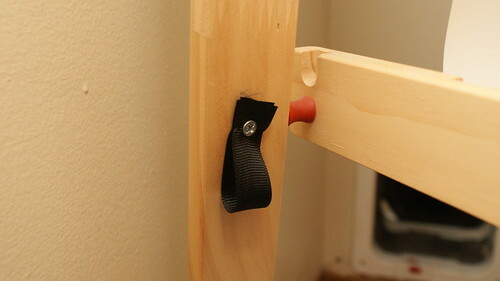 Remove one end of a dowel from its ribbon and slide it through the top casing you just created. Now load the dowel back on and repeat with the other side. You should now have a sling to hold artwork, projects, supplies, etc. 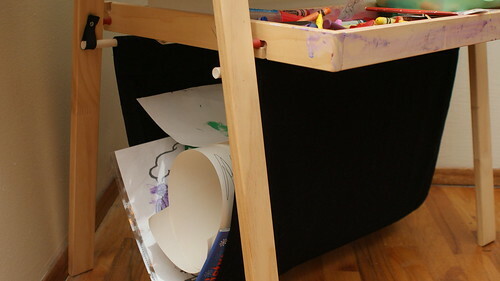 This was a really simple project that added a lot of necessary storage space for the Snickerdoodle's art supplies. In our house, it also serves another purpose - it hides the cat door leading out to the cat's litter box in the garage. If you look back at the photos in this post, you can see a bit of the opening. Shhhh, it's our little secret.